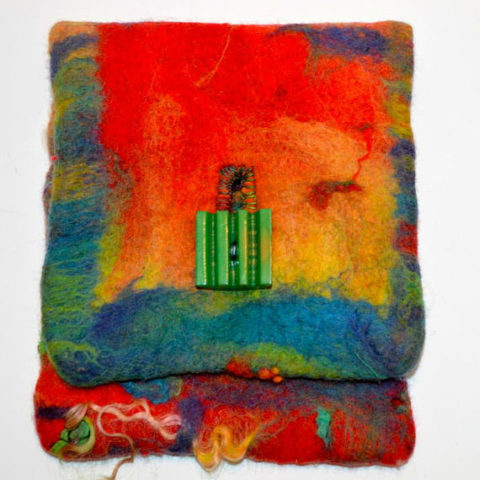 Felted one-of-a-kind merino wool IPAD cover with quilted cotton print inside. 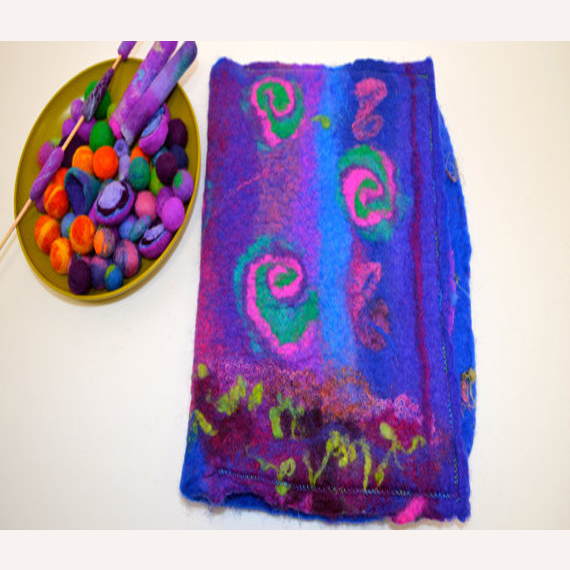 Bright royal blue/purple embellished with wool, silk and other fibers. 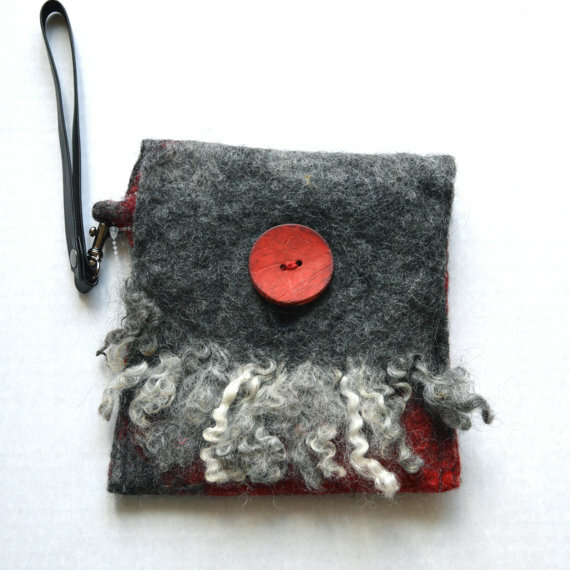 Tussah silk accents and ribbon fringe on the inside. 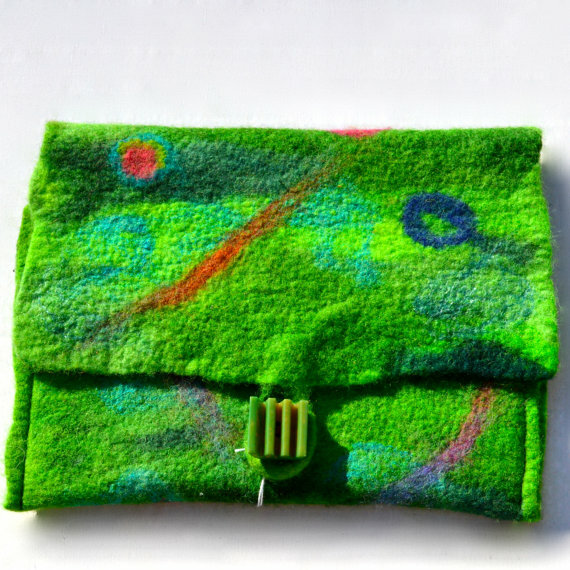 Inside pockets for business card, Smartphone, and pencil/pen holder. Made to fit the original IPAD with finished specs of 9-1/2″w (closed) x 11″ high. 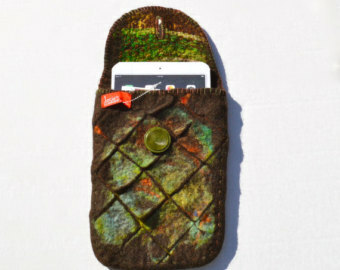 Intentionally made a bit larger to accommodate your IPAD inside it’s small case, or put a small note pad when traveling. Spot clean with mild detergent or handwash wash in cold water, gently, dry flat. Do not put in dryer. Do not wring out.